With a shift to four-day home delivery of The Plain Dealer supplemented by an e-edition, the layoffs of several employees and the creation of the web-focused Northeast Ohio Media Group, the landscape of daily news in Greater Cleveland is rapidly changing. 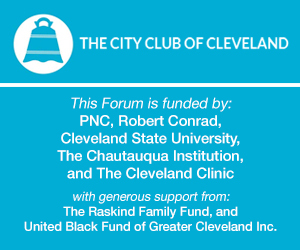 Please join Chris Quinn, Vice President of Content for Northeast Ohio Media Group and Thomas Fladung, Managing Editor at The Plain Dealer in a discussion about Cleveland's daily news. Moderated by M.L. Schultze, reporter for WKSU.